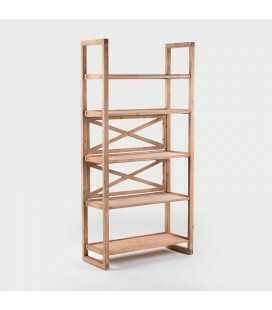 High-quality wooden room divider / display shelf made from a combination of solid Acacia wood and Acacia wood veneers. 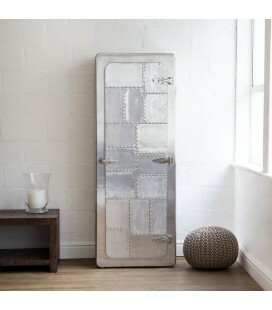 Rustic wire brushed finishing. 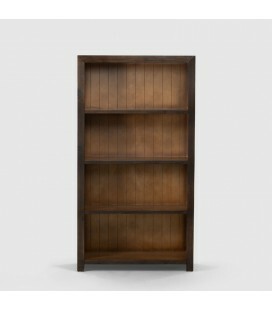 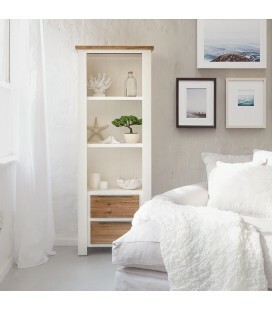 Transform your space with the classic Murray bookcase. 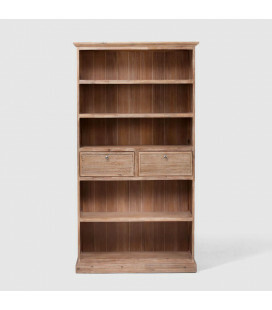 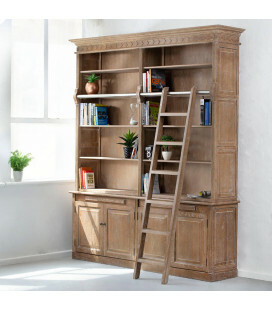 The large library-like bookcase with moveable stepladder creates a feeling of tranquil relaxation.Crafted from solid oak wood complemented with round metal handles, 10 shelves and 4 spacious cabinets for extra storage. 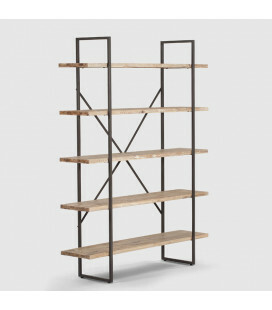 The perfect addition to your living space. 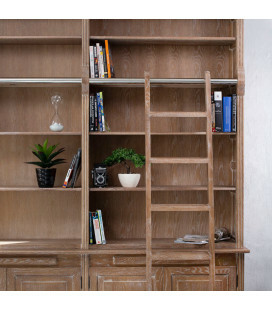 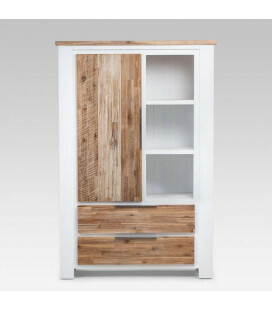 This Campbell slatted display shelf is manufactured from dark stained solid reclaimed wood with parquet design panels. 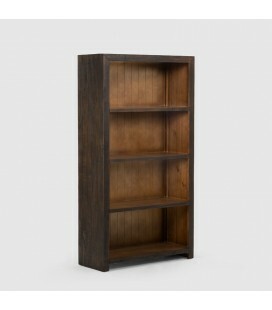 Store your books or display your keepsakes with this beautiful shelf. 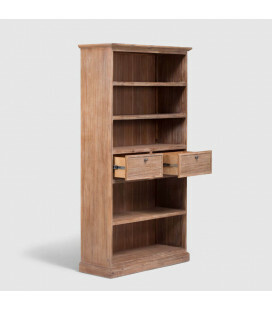 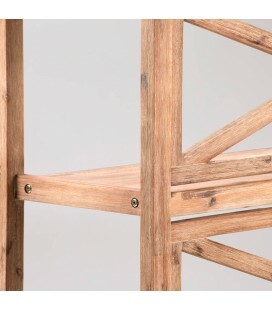 The Kalo three shelved storage unit boldly inspired by our Spitfire range is daring and confident. 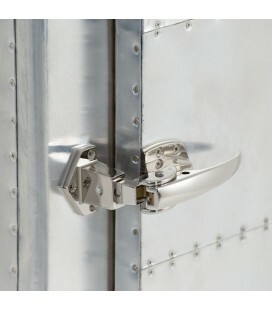 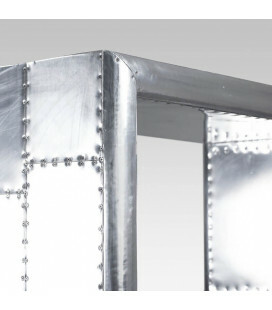 Wrapped in riveted aluminium panels echoing the famed Spitfire design making this an architectural art piece, a perfect balance of classic and contemporary. 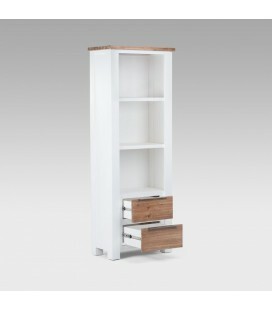 Create the focal point in any living space with the Lexi 5 tier display unit. 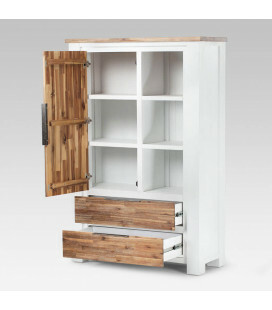 This piece has an industrial flair featuring a blend of metal, Acacia wood and Acacia veneers which balances the look of this urban-inspired item, impressive in any setting. 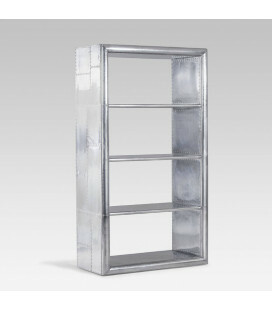 Versatile to use as room divider or bookshelf.